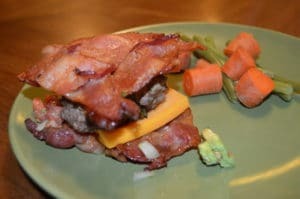 I’m really excited about getting to share this recipe with you today because it filled a real need I had of wanting to eat a “normal” hamburger. In other words, a hamburger I could pick up with my hands instead of eating with a fork. Nothing wrong with a fork but sometimes you just want to pick a burger up and chow down. 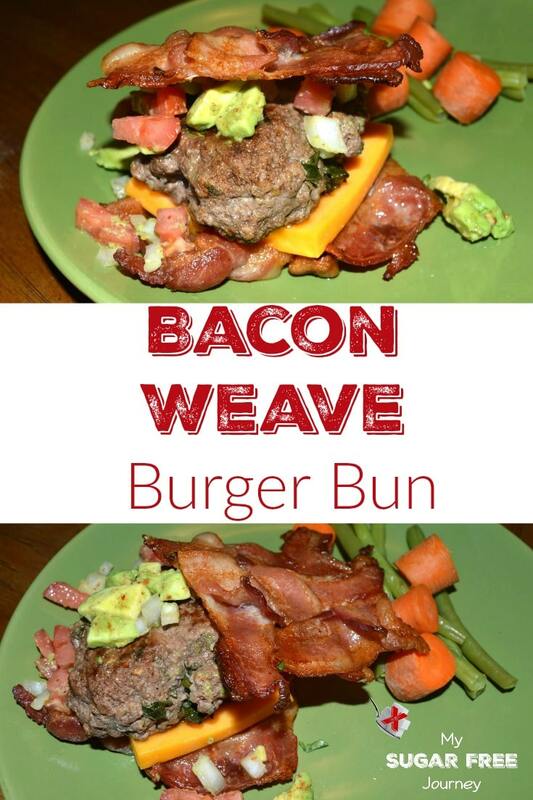 So I’ve shown you one way to do this with a flax seed bun but how awesome would this be if it also added a lot more bacon to the meal! 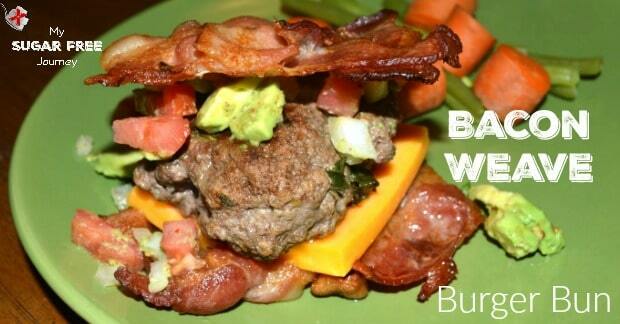 I mean more bacon is always a plus in any recipe. 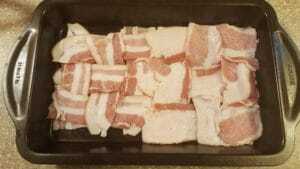 Cut 6 pieces of bacon in half and weave them together as shown above. Put them in a a pan and bake them at 350° for about 20 minutes until crispy. Take them out when down and drain them on a napkin or paper towel and let cool. They will also harden a bit when cool. 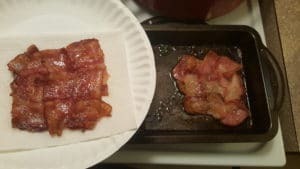 While the bacon is cooking, fry up some burgers however you like and then use the bacon weaves like bread with whatever toppings and add-ons you enjoy. As you can see, I went with a piece of cheese and some avocado pico I like to make which basically just avocado chunks mixed with diced onion and tomatoes seasoned with salt and lime juice. Think of it as a very chunky guacamole. NEXT POST Next post: Keto Tip: Eat More Salt on a Ketogenic Diet!